1940, eighteen-year old Juliet Armstrong is reluctantly recruited into the world of espionage. Sent to an obscure department of MI5 tasked with monitoring the comings and goings of British Fascist sympathizers, she discovers the work to be by turns both tedious and terrifying. But after the war has ended, she presumes the events of those years have been relegated to the past for ever. Ten years later, now a producer at the BBC, Juliet is unexpectedly confronted by figures from her past. A different war is being fought now, on a different battleground, but Juliet finds herself once more under threat. A bill of reckoning is due, and she finally begins to realize that there is no action without consequence. 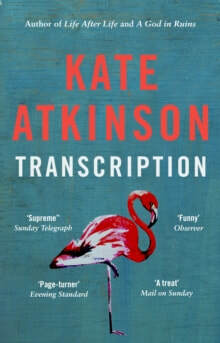 'An unapologetic novel of ideas which is also wise, funny and paced like a thriller' ObserverThe magnificent new novel by bestselling award-winning Kate AtkinsonIn 1940, eighteen-year old Juliet Armstrong is reluctantly recruited into the world of espionage. Sent to an obscure department of MI5 tasked with monitoring the comings and goings of British Fascist sympathizers, she discovers the work to be by turns both tedious and terrifying. But after the war has ended, she presumes the events of those years have been relegated to the past for ever. An informative, interactive and wonderfully illustrated celebration of Our Island. It will appeal to young children, early readers and Isle of Man enthusiasts from near and far away. 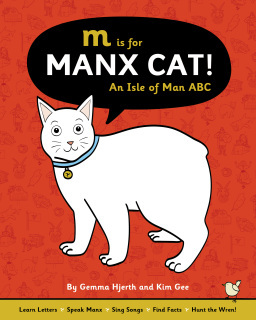 Each letter of the alphabet is represented by a colourful, digital illustration of an Isle of Man icon, a rhyming couplet and a Manx translation and pronunciation. •	Lots of Three Legs of Man to count! 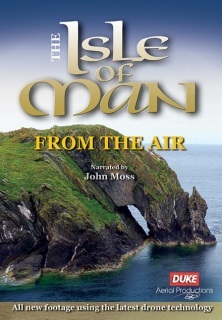 "When we filmed the ground-breaking original Isle of Man from the Air in 1999 the technical challenges were compounded by the need to hire helicopters and schedule filming days to work around periods of bad weather. With the recent innovations in the field of drone filming our qualified pilots at Duke Aerial Productions have been freed to explore the Isle of Man like never before - and to get even closer and more intimate to their subjects than ever before. From the shots we’ve seen as they have been editing the footage already shot the result is going to be a beautiful and fascinating portrayal of the island, showing facets of the ‘gem of God’s earth’ which will be new, even to those who have lived and worked on the land all of their lives. Filmed throughout with the latest 4K technology available so you can enjoy incredible views of the Isle of Man from the comfort of your own home." 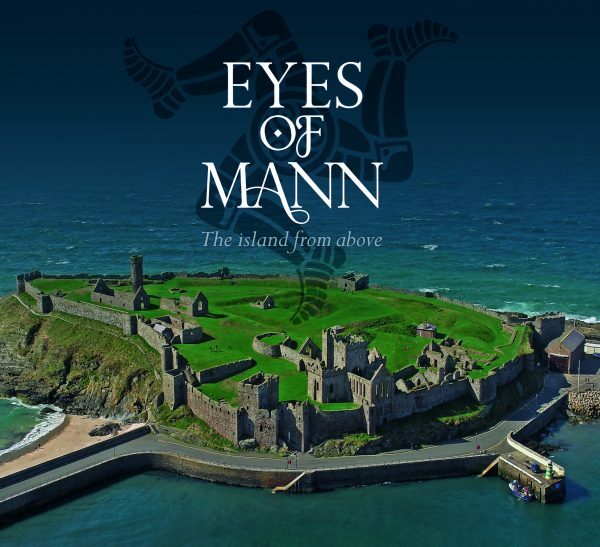 This new book from Lily Publications will show the Isle of Man as you never seen it before with views from a drone camera. The book will illustrate not only the rugged coast, towns, villages but also many of the historical sites of the Island. All the pictures will be complemented with captions for each view with supporting text by local Manx broadcaster, film-maker and editor Charles Guard and Miles Cowsill a local photographer, writer and publisher. 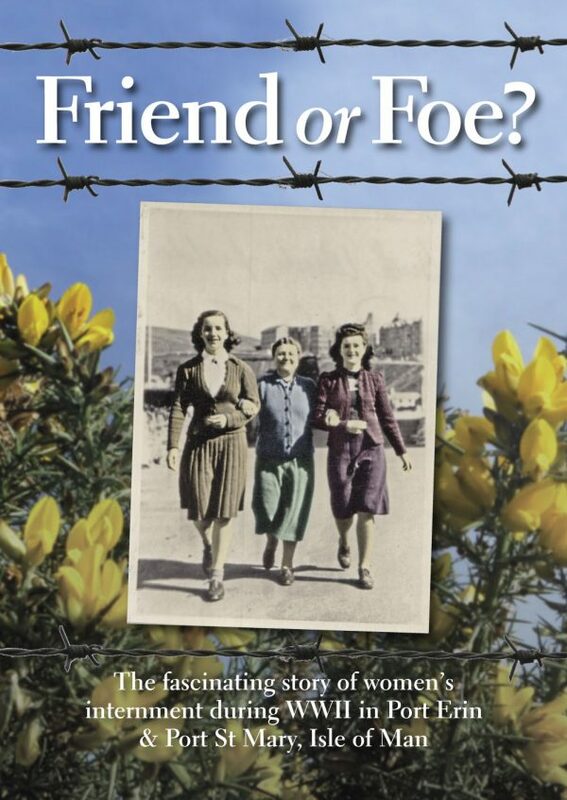 The fascinating story of women’s internment during WWII in Port Erin and Port St Mary, Isle of Man. Published by Rushen Heritage Trust in association with Lily Publications. HOW WOMEN WITH DIFFERENT VIEWS MANAGED TO “RUB ALONG TOGETHER”. How did seven different people, most of whom had never met before, come together to write the first ever book on Womens’ Internment in WW2? They are members of Rushen Heritage Trust in the Isle of Man, and became fascinated by the remarkable people connected with the unique Rushen Womens’ Camp in 1940 – 45: how locals and internees lived together in the same houses, forming many friendships, some lifelong; how they were all encircled by a barbed wire perimeter, including shops, houses, schools and beaches; why most internees wanted Britain to win the War; their hopes, fears, courage, and enterprise; the unique gender situation – at times over 85% of the total population in the two seaside towns of Port Erin and Port St. Mary were female; how the Camp was run by Manx landladies, with light touch governance from police and civil servants. Somehow, like the seven authors who soon became friends, but often engaged in animated debate​, the locals and women internees – German/Jewish refugees from Nazi oppression, Germans and Austrians who had lived peacefully in Britain for many years, a minority of committed Nazis, Fascists – all managed to “Rub along together”. The question was, who was friend and who was foe? 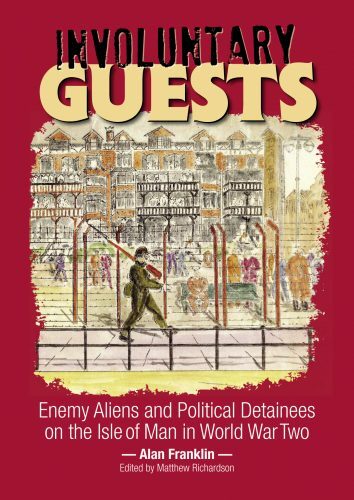 The authors interviewed locals who still retained vivid memories of Camp W, found much new information on the under – researched topic of WW2 Women’s Internment, and soon realised that the story addressed important universal themes of continuing relevance today – immigration, injustice, gender, tolerance, diversity, the nature of friendship, the ability to adapt to inequity and loss, and , most of all, the triumph of human values in difficult situations. ​Available from 10 March 2017, this revised edition has been updated with new text and new photos and provides an excellent summary of Manx history. ​With parliamentary traditions introduced by Vikings, the Isle of Man was the first country to give women the vote. Much of its public transport hasn’t changed since Victoria was on the throne, yet the island is fifth in the space race. Famed for its motorbike racing and tailless cats, it’s still traditional to greet the little people when crossing Fairy Bridge. In the middle of the Irish Sea, and the centre of westbound sea trade, Mann has been drawn into the politics of the surrounding islands, yet maintains its own traditions, language and way of life. 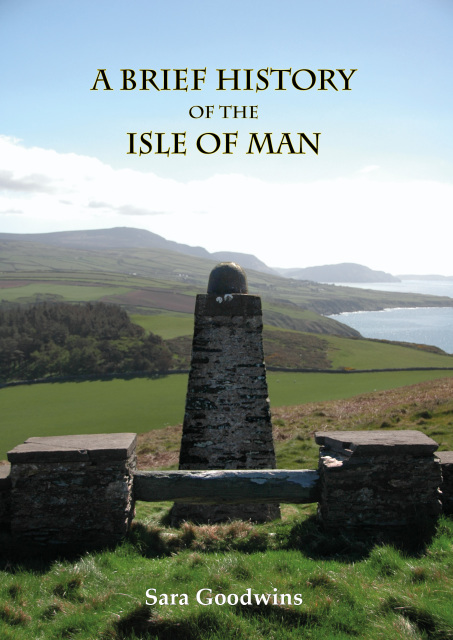 It is this proud history of the Manx and their island which this book celebrates. ​This stunning selection of colour views, dating from the period 1953-1980, includes most of the vessels operated during this period by the Isle of Man Steam Packet Company and The Ramsey Steamship Company. Passenger boats and freighters are seen at ports on the island and on the mainland. There is comprehensive coverage of the Peel, Ramsey and Port Erin lines operated by the Isle of Man Railway with some outstanding views taken during the 1950s, together with excellent portraits of most of the locomotives, as well carriages, vans, wagons, lorries, stations, staff and signal boxes. Also covered are Douglas Station and its environs, St John's junction and the Sunday 'specials' to Braddan. Many of the rich mix of bus types operated by the railway subsidiary, Isle of Man Road Services, are seen in a variety of locations. Included are some of the vehicles delivered just before and shortly after the Second World War. There are good views of the fascinating Ramsey Pier Tramway and its unusual rolling stock, as well as rare scenes taken as early as 1953 on the Groudle Glen Railway. For anyone who loves the Isle of Man and its wealth of vintage transport, this book provides a remarkable trip down memory lane and a colourful reminder of some of its lost glories. The book is dedicated to the memory of John McCann who took brilliant colour views on the island starting in 1953. 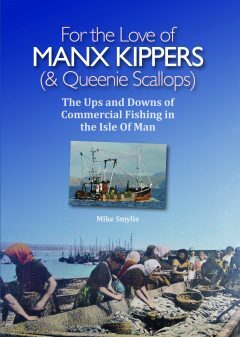 The Ups and Downs of Commercial Fishing in the Isle of Man. story as well as being of interest to anyone with a love for things Manx. Starting with a day trip (by air from Blackpool) in 1970, this book covers the rest of the decade with visits in 1971, 1972, 1976 and 1979. 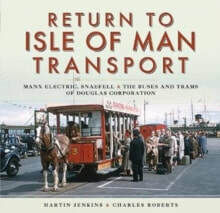 The island was a fascinating place for a transport enthusiast, with the traditional Douglas Corporation buses, horse tramway, Manx Electric Railway and the steam railway - not forgetting the Snaefell Railway and the lovely old Steam Packet Co. ships. These traditional ships were the main loss in later years, but changes had also occurred prior to David's final visit, with the loss of the Douglas livery (all buses now being under a `National' fleetname) and the rationalisation of Douglas railway station. 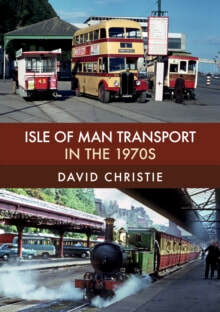 With a range of interesting views and fascinating subject matter, Isle of Man Transport in the 1970s will appeal both to those who have visited the island and general transport enthusiasts. Frank’s too busy enjoying life just now to worry about dying. 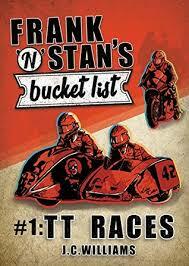 Bucket list item №1 for Frank and his oldest friend, Stan, was the TT Races. They did it, and loved it so much, that now they’re heading back for item №2 on the list – TT Races yet again! The fledgeling race team they’d cobbled together on their first outing – despite moments of definite glory – didn’t exactly thrive. But, despite this, they’ve once again secured the trusty services of Dave and Monty – the two most out of shape, yet passionate and dedicated, racers in the paddock – and they’re optimistically eyeing a top ten finish. With his unhappy marriage and wallet-draining ex-wife now firmly in the past, Frank is ready for a positive change – time and health permitting. 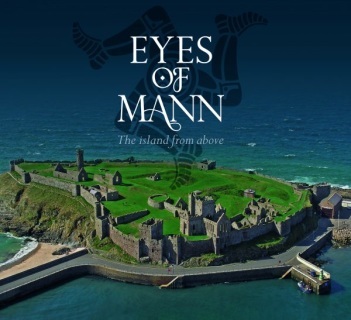 Life in the glorious Isle of Man has rejuvenated him, and he’s now eager, in fact, to make it his home. But he’s not going anywhere unless his mate Stan’s coming, too! The doctor gave him the news he didn't want and Frank's discovered the worst kept secret in Liverpool; that his wife’s fitness instructor is providing her services that extend beyond the gym. With time a dwindling commodity, Frank decides it’s time to do something he wants to do. 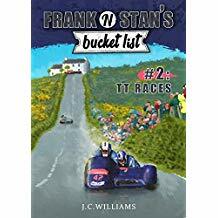 With a little encouragement from his oldest friend, Stan, the first destination for his ‘bucket-list’ is the Isle of Man TT Races. They were content to just spectate, but fate had other ideas. 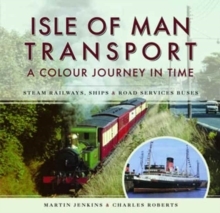 This is the second book by Martin Jenkins and Charles Roberts, about transport in the Isle of Man. The first volume covered the railway network, where as this new volume covers all other forms, road, rail, sea and air operations. The book is illustrated, using previously unpublished rare early colour pictures, from the Online Transport Archive, which holds over a million transport images. Both the authors have managed to collect together some truly interesting and often stunning pictures, from a period when colour coverage of transport subjects was almost non existent. 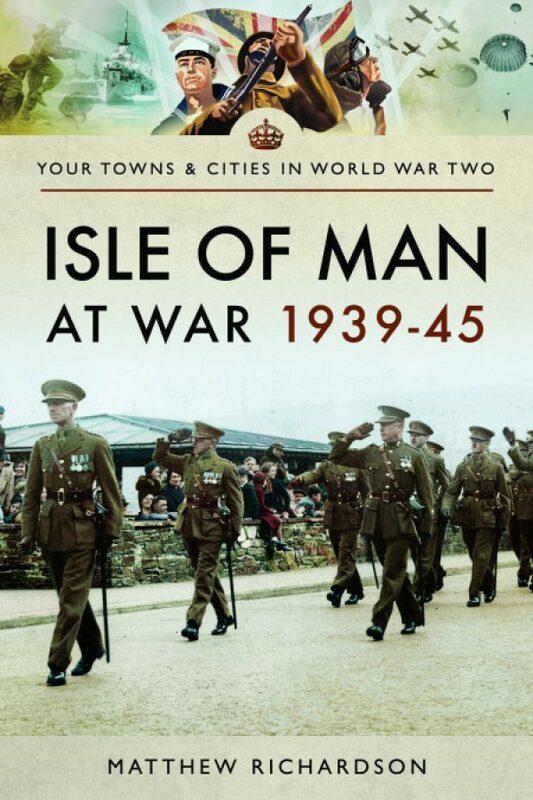 The Second World War radically changed the Isle of Man accelerating its movement towards becoming the self-governing Crown Dependency that it is today. With a peak of around 15,000 internees and detainees held and with navy, army and air force bases the effect on the civilian population and the economy of the Island was profound. Alan Franklin brings to life a wide range of detail from personal papers, accounts and published sources long forgotten or hidden away in surprising locations. An essential guide to those whose relatives were interned as well as the researcher into this fascination period of the Islands history. Born in Devon but resident of the Isle of Man for 25 years Alan Franklin is a retired Chartered Librarian with over 40 years’ experience of working in libraries, for 23 years he was librarian at the Manx Museum in Douglas and met with and corresponded with numerous former internees and researchers into Internment, this book draws on that knowledge. The carved stone crosses of the Isle of Man of the late fifth to mid-eleventh century are of national and international importance. They provide the most coherent source for the early history of Christianity in the Island, and for the arrival and conversion of Scandinavian settlers in the last century of the Viking Age – a century which produced some the earliest recognisable images of the heroes and gods of the North; earlier, indeed, than those found in Scandinavia. This, the first general survey of the material fro more than a century, provides a new view of the political and religious connections of the Isle of Man in a period of great turmoil in the Irish Sea region. The book also include an up-to-date annotated inventory of the monuments. 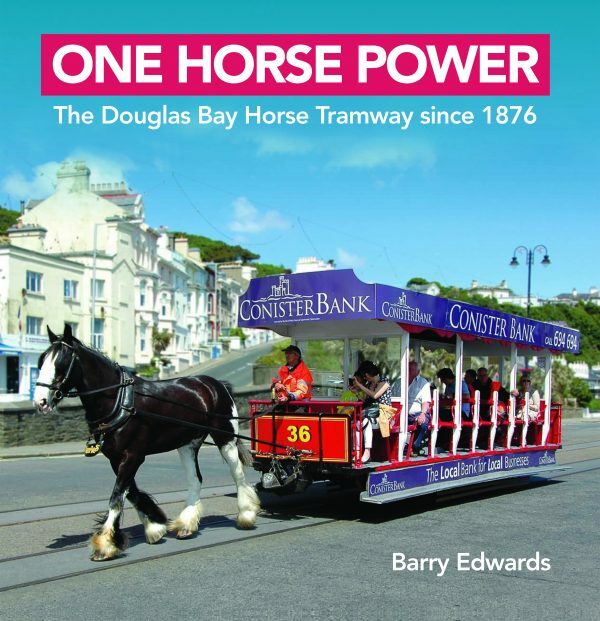 The Douglas Bay Horse Tramway opened on 7 August 1876, just over 142 years ago, at a time when tourism on the Island was flourishing and the tramway went from strength to strength, being extended several times and with an ever increasing fleet of trams and horses. Through two World Wars, financial crises, declining passenger numbers and in more recent times, abandoned by Douglas Corporation, the tramway has emerged into Government ownership, with refurbished trams and a planned complete relay of the track, as part of the Douglas Promenade refurbishment, albeit with a single track with passing loops, from Esplanade Lane to the Sea Terminal. There are also plans for a new car shed on the existing site at Derby Castle. Perhaps most importantly, visitors and residents alike will be able to enjoy the delights of this Victorian tramway for many years to come. This book endeavours to tell the story with an informative text and a wealth of illustrations, many not previously published. Maps and a complete fleet list are included. 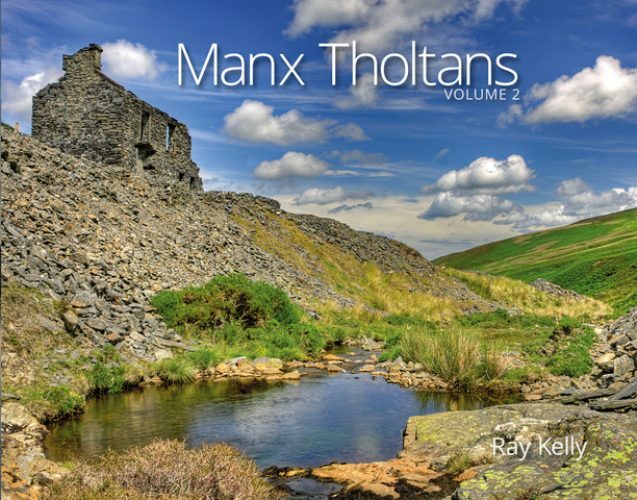 ​In this second photographic essay, photographer and local historian Ray Kelly revisits more hidden ‘Tholtans’ (a Manx word describing the ruins of old homes). This new work is further complemented by some of the author’s colourful retelling of local stories and fables. The author’s passion for his subject matter shines through as these incredibly photogenic buildings, most of which are well off the beaten track, offer a glimpse of genuine Manx culture and heritage from times that are fast disappearing into history. In his third photographic journey, Manx photographer and local historian Ray Kelly once again presents us with his uniquely attractive images of a time which is both long past and yet reverberates with nostalgia and familiarity. 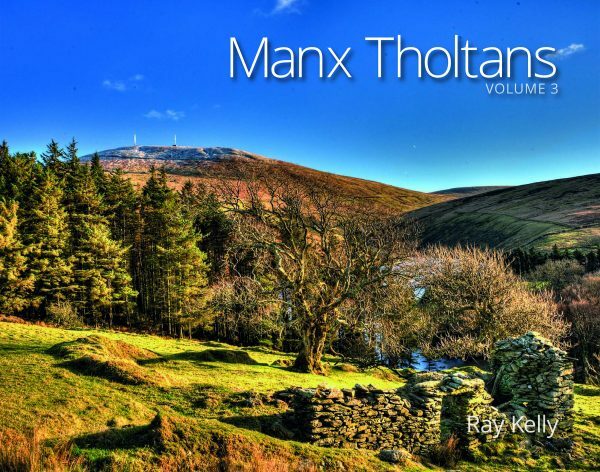 Discover further hidden Manx ‘Tholtans’ (a local word describing the ruins of old homes). The author’s vivid mythologised stories of almost forgotten people and events add an extra layer of realism to these images which are alive with history. If you’d wondered where you can find an Iron Age hillfort, a Bronze Age burial or a giant’s grave, then this is the book for you. 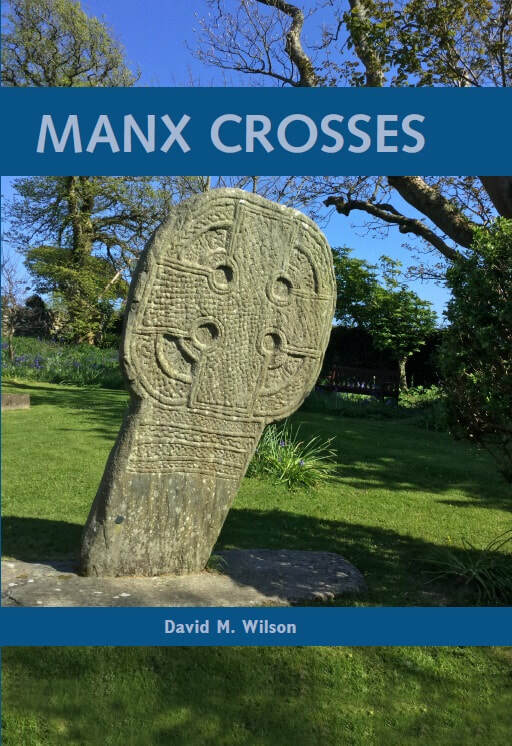 Featuring over eighty locations, including stone circles, carved crosses, parish churches, castles, Bronze Age and Iron Age settlements, A Guide to the Archaeological Sites of the Isle of Man is an ideal companion for anyone wanting to explore these treasures and learn more about the complex history of the Manx people from earliest times. The guide is pocket-size and is lavishly illustrated in full colour, with each site accompanied by a location map, details of how to get there and information on access and overview of Manx archaeology by Dr Peter Davey. 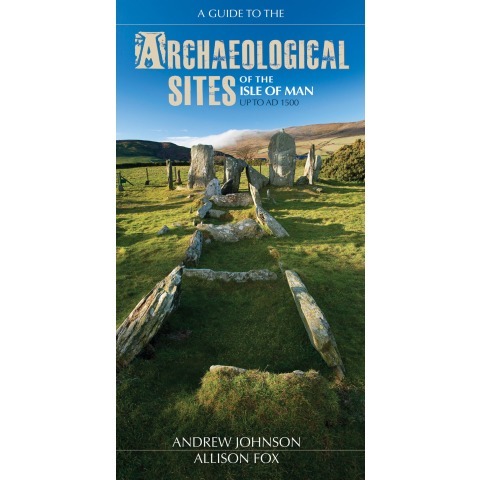 The text for each entry, written by two of the Island’s leading archaeologists, Andrew Johnson and Allison Fox of Manx National Heritage, brings together the latest research and interpretations in an informative and accessible way, and references to further reading are provided for those who might want to delve deeper into the academic analysis of the sites. Illustrated with photographs, maps and other information throughout, Culture Vannin is delighted to share this unique publication which will be popular with walkers and everyone interested in history and heritage. 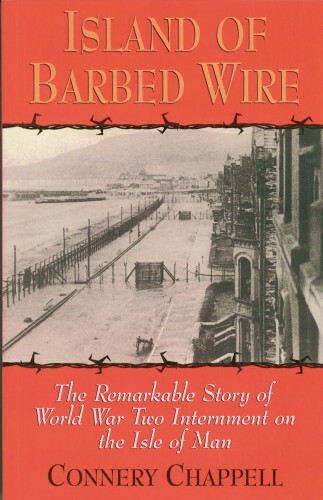 Remarkable Story of WWII Internment Camps on the Isle of Man. At the outbreak of war there were approximately 75,000 people of Germanic origin living in Britain, and Whitehall decided to set up Enemy Alien Tribunals. The first tribunal in February 1940 considered only 569 cases as high enough risks to warrant internment. 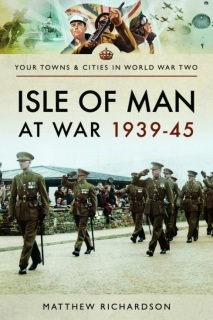 The Isle of Man was chosen as the one place sufficiently removed from areas of military importance, but by the end of the year the number of enemy aliens on the island had reached 14,000. With the use of diaries, broadsheets, newspapers and personal testimonies, the author shows how a traditional holiday isle was transformed into an internment camp. Boarding houses became barrack blocks, and many hoteliers welcomed the means of earning extra income. Eventually the internees took part in local farm work, ran their own camp newspapers and even set up internal businesses.